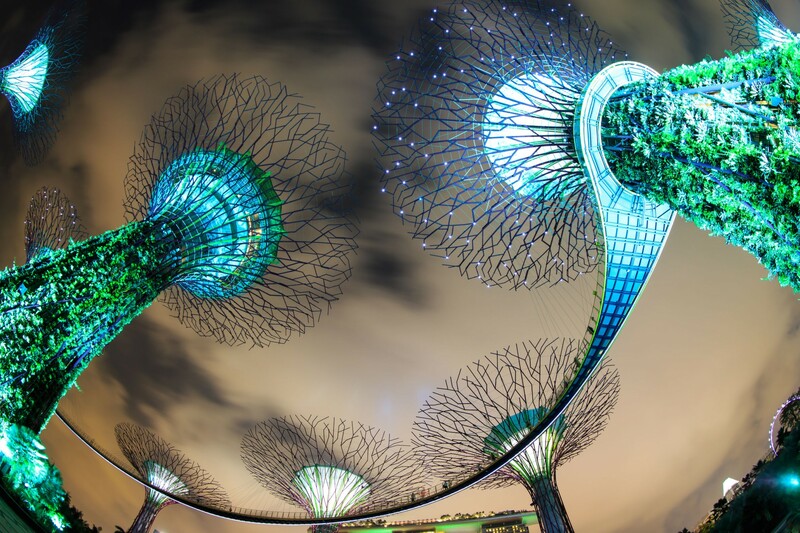 5 Routes in Singapore With Breathtaking Views | JustRunLah! Runcations are super popular now. One reason is that runners get to soak in a different atmosphere and scenery as they cover the same 10km, half marathon or marathon distances. Post-run, you can even enjoy some touristy stuff and taste the local cuisines. However, before you start packing for your next trip overseas, think: how well do you know your own city? Singapore has beautiful places for those looking for a short walk or run to help them disconnect from the hectic city life. Here are 5, so start exploring! 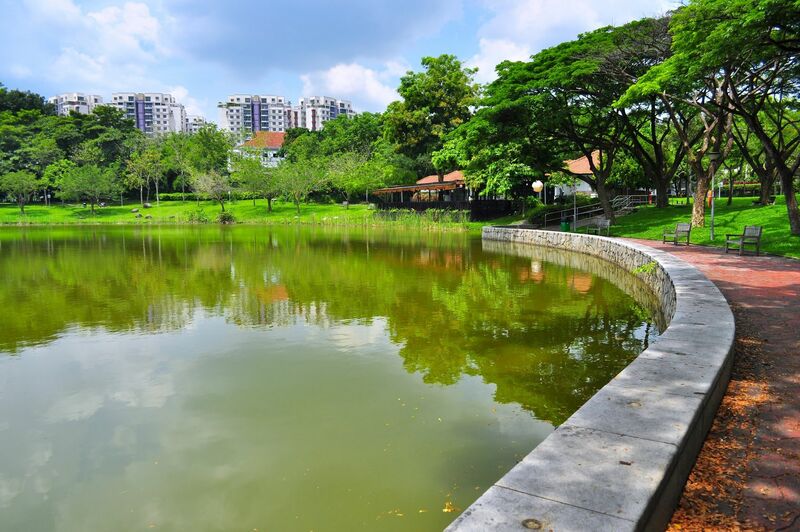 Situated near Changi Airport and just off PIE, Bedok Reservoir is one of the major recreational areas for the Easties. It has a lovely closed loop of roughly 4km, with a combination of paved and gravel paths. The entire route circles you around the reservoir, through Bedok Reservoir Park and at the sides of the road. If you were to visit in the morning, there’d be fellow early birds doing their morning Tai Chi and Yoga. You’d be guaranteed a relaxing run with fresh air, no traffic and plenty to take in. This new estate built all the way at the end of the purple line is an active person’s haven. Whether you’re in cycling, running or just a stroll with your family, there’s a 8km looped route for you. This path meanders alongside lush greenery and winding waterway. Just 5-10 minutes walk away is the Waterway Point Shopping. They have a buffet of cuisines available (including refreshing beverages such as 100% coconut water). 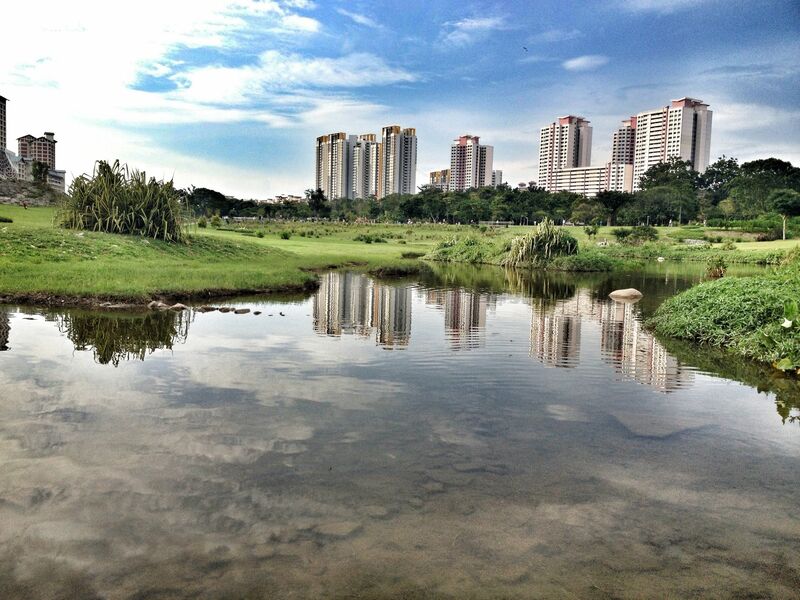 The kids can also play around in Punggol Waterway Park – which is Punggol’s version of Wild Wild Wet! 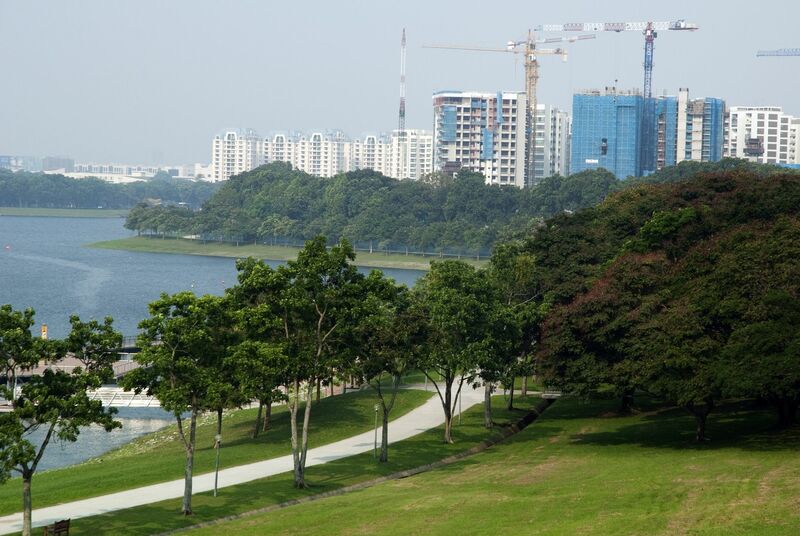 That’s just one of the four things you didn’t know about Punggol. 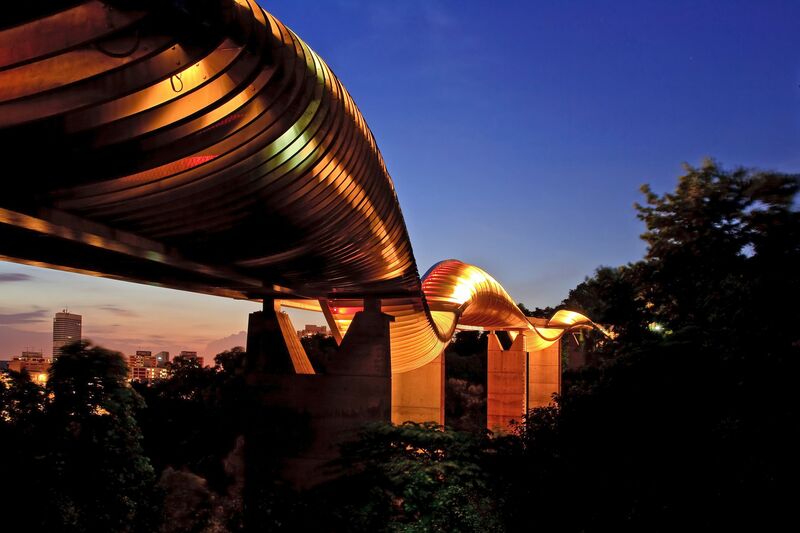 At 36m above ground, the Henderson Waves bridge is the highest pedestrian bridge in Singapore. When it was unveiled in 2008, it was an architecture marvel. As its name suggests, the bridge follows the undulating shape of a wave, curving and twisting along its entire 274-metre body. It forms part of Southern Ridges Walk, which is a 5km trail. The best part about Henderson Waves is that is connects you to Telok Blangah Hill Park and Mount Faber Park. Lots of running club populate this area due to the energy and vibe that permeates that place after working hours. Being centrally located, this route is also convenient for our running buddies to join us after work. 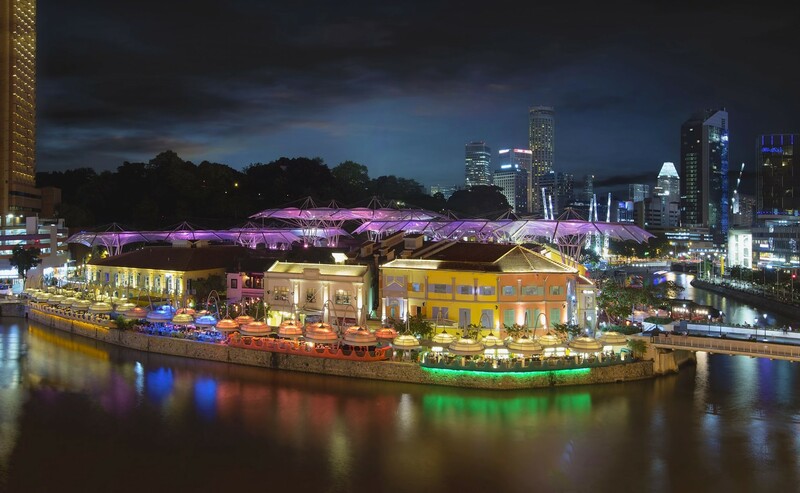 Running along the Singapore river is exciting to the senses – it brings the touch of an easy breeze, interesting sights and humdrum of tourist boats and the eye-catching view of the colorfully lit pubs. Since it’s also located right next to the MRT station and lots of other amenities such as hawker centres and toilets, this place deserves a major plus! This place has the peace and tranquility that hardly any other running routes offer. On weekdays, this place is typically quiet except for the occasional lunch crowd at the various cafes. Later in the evenings, you might observe neighbouring residents taking a post-dinner stroll. On weekends, the park can get rather crowded. So depending on your preference, you might choose to visit this place on a weekday or weekend. It’s just off the main road and has its own carpark. However, it can be more inconvenient if you’re coming by public transport. Nonetheless, it’s definitely worth a visit! Check out our complete interactive list / map including all the vital information for places to run in Singapore.